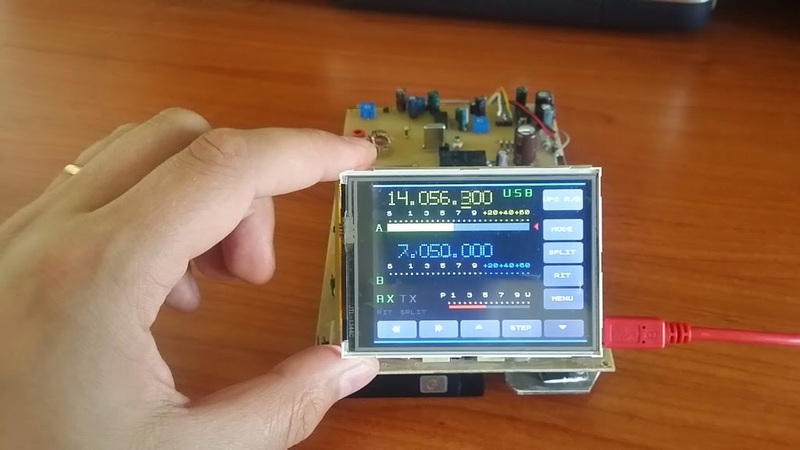 Holiday week-end here in the States, so a re-post of the SX-2000 touch-screen QRP transceiver link. 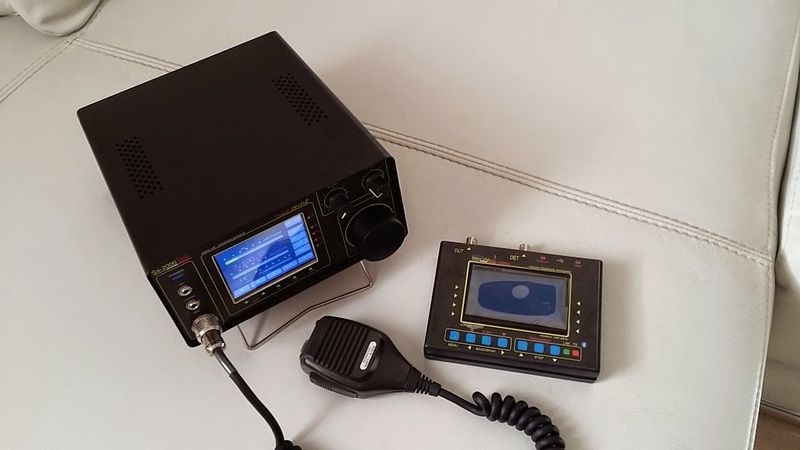 "I had in mind for a long time to realize an HF transceiver complete with all the functions of a commercial apparatus. Unfortunately, the time available and not 'how much and instead of my usual carry the usual "simple" QRP x complicate life so I decided to go overboard with this fantastic new project. The first phase 'was to design homes with all the dimensions are then passed to the VFO and that 'an apparatus for the TOP homebuilt. Everything is' run by a powerful micro ARM 32bit associated with a Touch Screen. 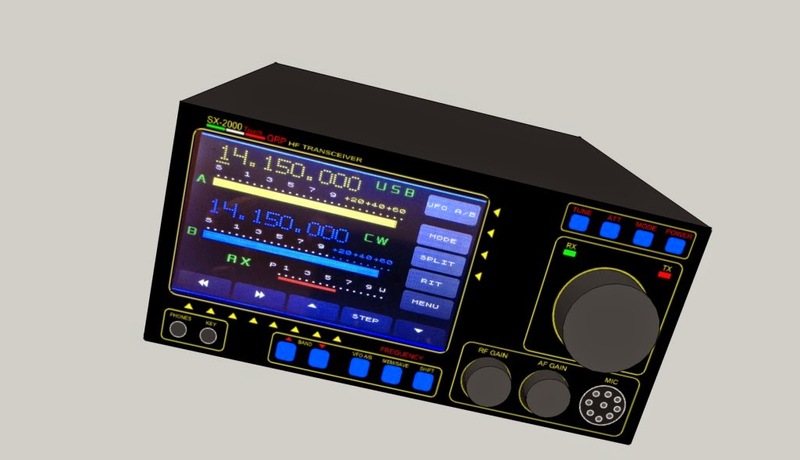 All the apparatus and 'managed via Touch Screen and in the future' will also be a FFT band style IC-7800. "Then x VFO knob position, and 'almost inevitable due to lack of space on the front but it did not' yet final so let's see what I can come up. I'm coming back to us by completing the VFO and this' first prototype. I managed to contain the entire circuit which includes: - Micro 32bit - Touch Screen IC - IC USB port in a really small PCB that lies behind all the color display 3.2. Obviously a lot of work to design a single-sided PCB that contains more 'than 100 runs three 0.25mm smd integrated. At the end the result is' everything works great ....... I had some trouble with the touch screen and the realization of the PCB strictly HOME MADE but the end result has paid off. This' very first prototype to test the logic and develop the software. Next step and 'all interfacing to the QRP that I imagine on a single I2C bus. Among DDS, filter and switching board there will be a hundred different I / O pins so everything must be designed with a certain criteria. The philosophy and 'minimize the components simplify installation and rely 100% on a high-tech device of the latest generation. attach some pictures. The first and 'how will' on the radio and the second 'part of the logic of the third and VFO' VFO combined with a QRP IZ7JXJ made ​​by a guru of QRP . With a minimum of wiring would already 'ready a small tri-band. 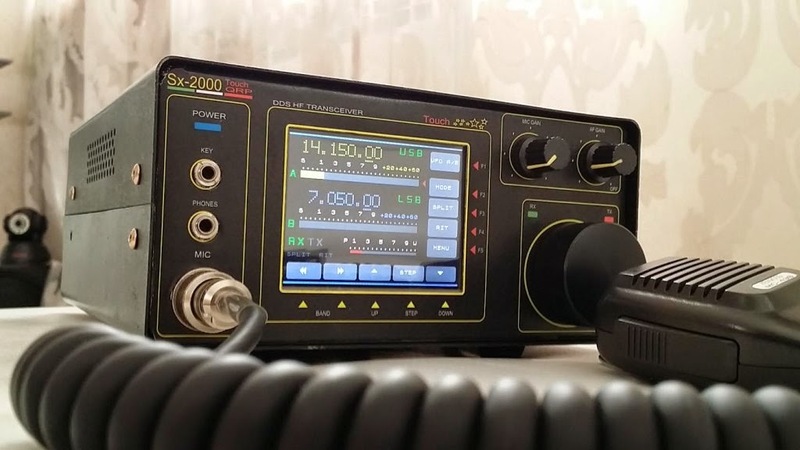 His QRP includes everything 10x16cm namely: - IF - BFO - Filter Board RX & TX - AGC - Final 5Watt Currently the three bands are 10/15/20mt but can be added to other bands at will. the analog part and 'was carried out on double-sided PCBs and is' a mix between SMD and conventional components x facilitate mounting. Returning to the VFO and 'was also implemented a USB port x interface the radio to the PC using an emulation YAESU CAT compatible with the standard, so use hamradio deluxe or similar programs. "Today as it pours out I have dedicated myself to change the case of the apparatus HF. Indeed, the arrangement of the microphone connector could be a little 'uncomfortable under the VFO knob so I changed the layout of the front. I took the opportunity also to eliminate some redundant switch now all controls are easily accessible on the touch screen display. All the logic and the analog part will be 'handled by the touch screen like in most modern commercial equipment of last generation. entire project will be 'meticulous attention to detail we are not going to make a ILER MULTI-BAND hihi as seen and reviewed many of them around. 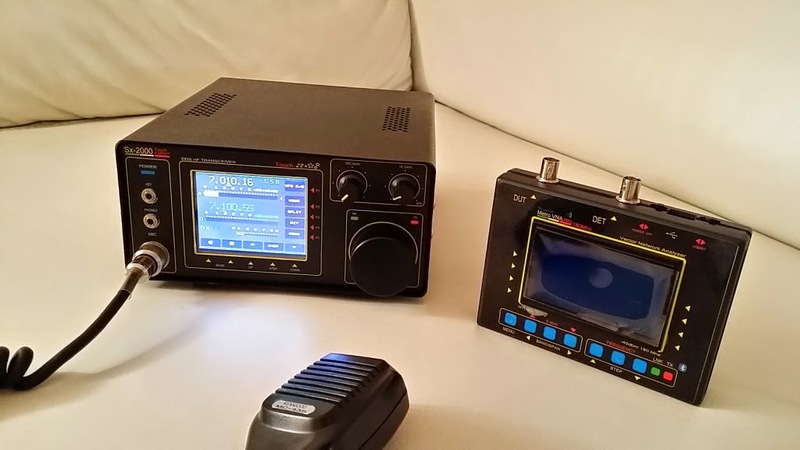 "It will be the small Italian Elecraft? The 'aesthetic is very appealing and the touch screen is very sensitive, when we listen to him?" 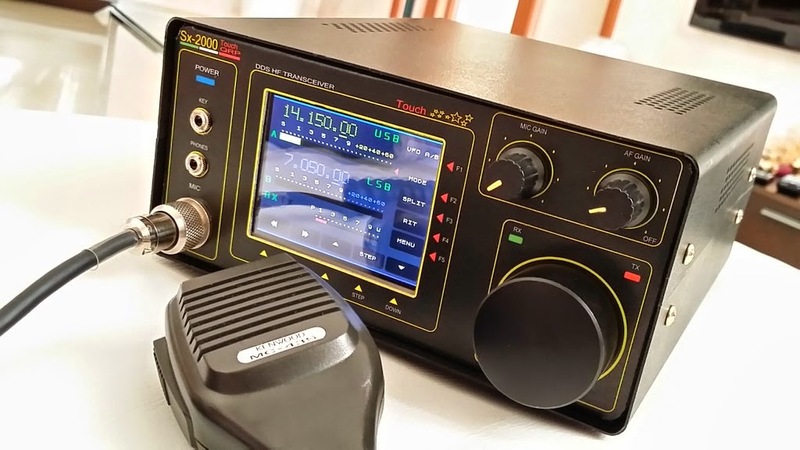 I like that - the "Italian Elecraft." That's a good goal. At the risk of getting in trouble, I will add that I told my wife that I was branching out and posting about an Italian radio. Her immediate reply was that she "learned to drive in an Alfa Romeo and that this radio would look pretty, but she hoped it worked well!" "still touches a lot of development work and planning that's why the collaboration with 4 hands and your head. The project 'very complex and I personally do not like things carelessly but I found those who are' even more 'picky me. 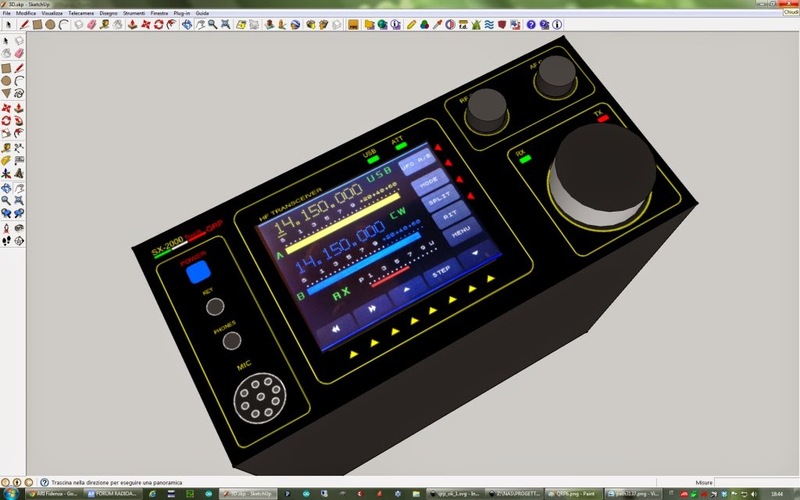 I could design a QRP from scratch but I definitely would have got 2 standard equipments so better one at the TOP on which to focus the experience of both. Having stated this, the apparatus 10/15/20mt 'already' ready and it 'designed by Raul really wisely. With the exception of the VFO circuit and all the 'content in a PCB 10x16cm say everything including the final and even the band filters. Unlike other projects here are ONLY 4 relays' not 10/20 as in other organ systems around.Secrecy and 'all in the design. A sample in the output filter board has only 3 relay which in combination switch the L / C to reduce almost to zero all the harmonics, unnecessary use relay 6 'to achieve the same result. That 's the philosophy "simply and simplicity" the purpose and' a great apparatus not collect unnecessary components that make Pies that the om mounts. 73 ' Antonio IZ7LDG & IZ7JX"
"Hello guys ......! so I can say that in the tri-band showed it was not designed for this LOOK .... I drew the usual VFO with alphanumeric display 2X16 NORMAL and the AD9951 DDS as ..... therefore inexpensive everything. things now become more beautiful then most challenging. 'm drawing again a SEVEN bands to match the VFO IZ7LDG. bands will contain 80, 40, 20, 17, 15, 12 and 10m ... .. Not easy to do with as he wishes FEW components Antonio (LDG) but let's see what comes out. To (iz2hfg) ..... You can not expect the result of a TS990 with the technology that we use here dear ..... will certainly MORE MODEST the result .... but .... THE PRICE!! .... ULTRA for these results are already there .... their commercial appliances. then I consider all of these types apparatus, even if they are beautiful to look at, TOYS made ​​with a lot of passion for the Autocostruzioni ..... Who thinks he's a genius because it does these things ........ it is another thing .. according to me ..... ....! .... The problem is the time in this last period I do not have much available then we will have to wait a while '....... and have a little 'patience. 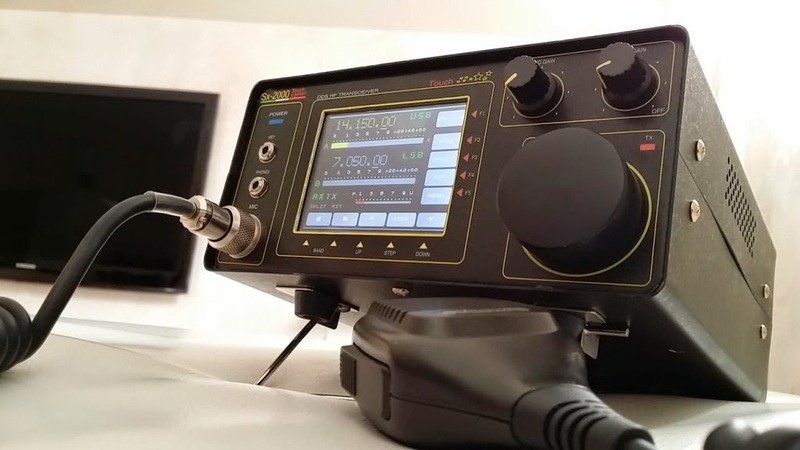 Greetings to all .... 73 ​​' RAUL RODA (IZ7JXJ)"
73 ' Antonio IZ7LDG & IZ7JXJ"
I know, I know... not another Chinese HF rig that we don't know much about. Actually, it's not a Chinese transceiver - this one is Italian! And with a touch screen!